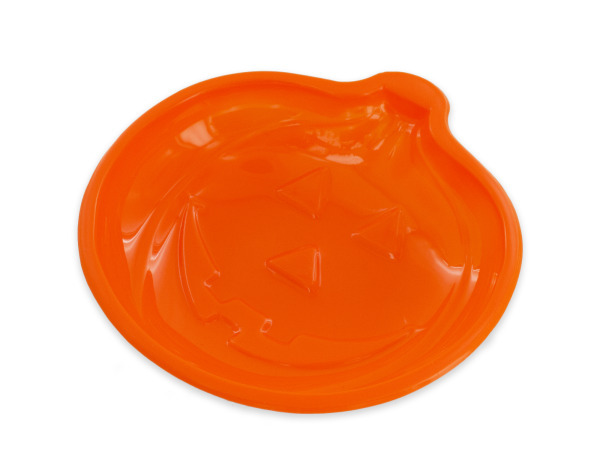 Great for handing out candy or as a tabletop dish, this Halloween Pumpkin Candy Dish features an orange plastic pumpkin-shaped dish with raised details. Measures approximately 8.75" in diameter and 1.25" tall. Comes loose with a UPC label.